His registered name is a mouthful - High and Mighty Victory - but he prefers to answer to the more common name of Peter. 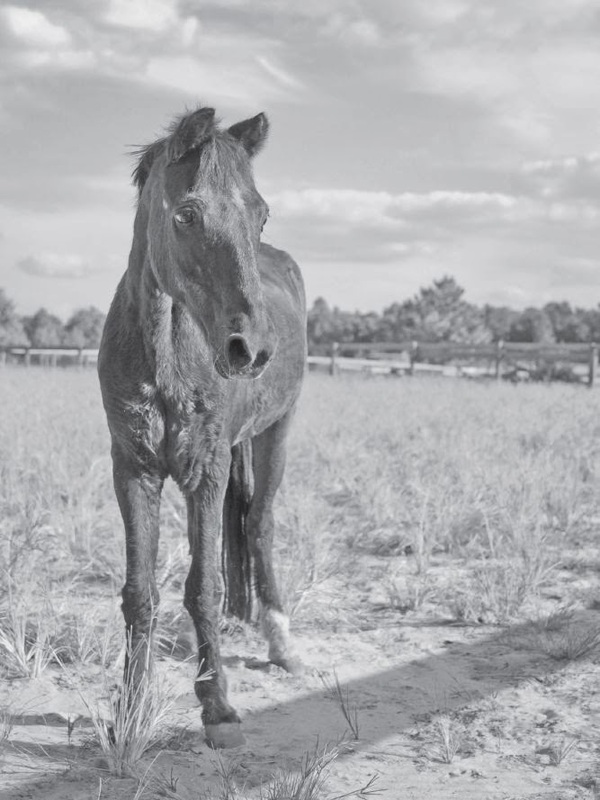 This 30-year-old Hackney pony spent his early days in Canada, then relocated to Bermuda for several years before making his final move to Aiken in 1996. Owned by Sara Odom for most of his life, Peter made a name for himself as a roadster pony in Canada, taking his share of blue ribbons on the show circuit. When he was around 5, Peter was purchased by a Bermudian and brought to the island to continue his show career. "There were a lot of driving competitions in Bermuda in the 1980s," explains Sara's mother, Susan English, who was born and raised on the island. At the time Susan was married to Norman Terceria, a well-known horseman whose specialty was turning ill-mannered horses and ponies into sought-after individuals. "Peter had a bad reputation as being a pony that was unsafe to drive," recalls Susan, "After Norman worked with him he became quite manageable and he became a gift for our daughter Sara, who was 7 or 8 at the time." Bermuda is well known for its pink sand beaches and cerulean blue ocean waters - 20.6 miles of paradise. The island was discovered in 1505 by the Spanish explorer Juan de Bermudez and a little more than 200 years later it became a British colony. Horses have long been a part of island life, but with real estate at a premium, they don't have a lot of pastureland. "It was - and still is - very expensive to own horses on Bermuda," says Susan. "Grain, hay, everything is simply three times more there. I used to take a scythe and cut a long grass that grew along the road - the horses loved it." For people who wanted to drive their horses, the only places available were the roads, which were congested with cars, scooters and tractor-trailers. "Sara and I would often drive Peter five miles to one of the beautiful parks and have a picnic, then return home. It was always hair-raising to see those big trucks coming straight towards us, but Peter never flinched." Peter was not just a driving pony. Sara, whose age was still in single digits, loved to compete him in gymkhanas and the pair did very well for three years. Peter and Sara had a special bond, and Susan remembers one time when her daughter was 9 that she slipped Peter completely on her own. "Sara had insisted the Peter needed clipping, and I told her we would get to it soon," says Susan. "We had to go run errands or something and when we returned what did we discover by Peter clipped - all but his head that is! Sara was so proud." The family left Bermuda in 1996, looking at several different areas before deciding on Aiken. "Our first farm was on Talatha Church Road and I used to drive Peter up Whiskey Road towards town. It worried mom but I had absolute confidence in Peter," says Sara. Norman Terceira eventually returned to Bermuda, but Susan and Sara had fallen in love with Aiken and stayed. Their next move was out to Windsor, with its wide-open spaces perfect for driving. Sara and peter competed in some Aiken Driving Club events, but the pony had developed both a wind problem and a light tendon issue. It was a no-win situation - conditioning to strengthen one of the problems only led to the difficulties with the other. Peter was retired when he was 20 and all went well for several years. When he was 25, however, the gelding developed such a bad case of diarrhea that he was losing 20 pounds a day and Susan made the difficult decision to put him down and event had his burial hole dug. "We discovered that there was coffee bean weed in his pasture. When the plant dries the toxins go into the seeds, so poor Peter was poisoning himself by eating those plants," says Susan. Her veterinarian at the time was Dr. Joan Gariboldi, who put Peter on Pepto-Bismol for a week. "She told me that we should see improvement and she begged me to give it a try. If after a week we didn't see any change then she would put him down." Obviously the treatment worked - Peter is 30 and looks fantastic! "I've played around with his feed, but what works best for him is a combination of 10 percent protein and six percent fat. He has no teeth so his meals are pretty mushy and it takes him a long time to eat," Susan says. Added to his senior feed is a good splash of Red Cell, a supplement which Susan swears by. He also gets a flake of alfalfa each day, and he somehow manages to nibble every delectable leaf while leaving the tougher stalks behind. Although Peter has a roomy stall with a great view, most of the time he is free to roam around much of Sara's 54-acre farm. "He's very mischievous, even though he'd like everyone to think otherwise," both Sara and Susan agree. The comfortable chairs that are left sitting if front of the tack room at the end of the day are found topsy-turvy the next morning; halters left on hooks within read of an 11.3 hand pony - well they might be found around the corner, or not at all. Peter also starts each day by surveying the property for gates left open by accident, and if he finds one, watch out, he's gone! Peter has recently been brought out of retirement to be a lead-line pony for Sara's two-year-old son Noah. Susan found a tiny Western saddle for her grandson, who is developing a keen interest in riding. "Peter's personality changes completely when he is around Noah - he becomes very sweet and is ever so careful," says Sara. Peter also acts as a babysitter for the occasional foal or horse who needs stall rest. For a pony who wrested from death a few years ago, Peter is making the most of his days. This little guy might be the smallest equine on the farm, but don't tell him that. He's too busy breaking in the next generation. I have a lot of experience competing at dressage shows, but I have never done a test that requires a flying change. My horse seems to have a knack for flying changes. Can you recommend a good test for us, and tell me what judges are looking for in this movement? If you are ready to attempt a flying change in the show ring, that means you are ready to compete at Third Level, the level at which flying changes are introduced. There are three tests at Third Level and they all require the flying change. In Third Level, Test I, two flying changes are required, one in each direction. Each flying change has a coefficient of two, meaning that they have double points, so they are a very important part of your score. Both changes come after a 10-meter canter circle followed by a half diagonal. The flying change occurs when you are on this half diagonal, between the center line and the return to the track. There is not an exact marker for where you should do the flying change, which helps bring ease to the movement. Anywhere between the markers is acceptable and will be considered accurate, but you should strive to perform the change close to the midway point. In Third Level, Test II, there are four flying changes, two in each direction. Only the first two flying changes have a coefficient of two. The first two changes come after a canter half pass from the center line to the long side, and are asked for on the long side, between the last two letters. Again, there is not an exact marker for where the change should occur. Anywhere between the markers is acceptable and will be considered accurate, but you should strive to perform the change close to the midway point. The second two changes are asked for one two consecutive half diagonals: for example K to B, and then B to H. The flying changes are asked for near the centerline - again, there is no exact placement required. To be considered accurate, the change may occur a horse's length before or after the centerline, but you should strive to have it as close to the centerline as possible. In Third Level, Test III, there are only two changes called for, and they do not have coefficients of two. However, these changes are much more challenging because they come after a canter half pass from the long side of the centerline. The flying change is asked for on the centerline anywhere between the last two letters. Again, you should strive for a change as close to the midway point as possible, although anywhere between the letters will be considered accurate. The change of lead is performed in one canter stride, with the front and hing limbs changing for one lead to the other at the same moment. The change of the leading front and hind leg take place during the moment of suspension, when all four legs are off the ground. 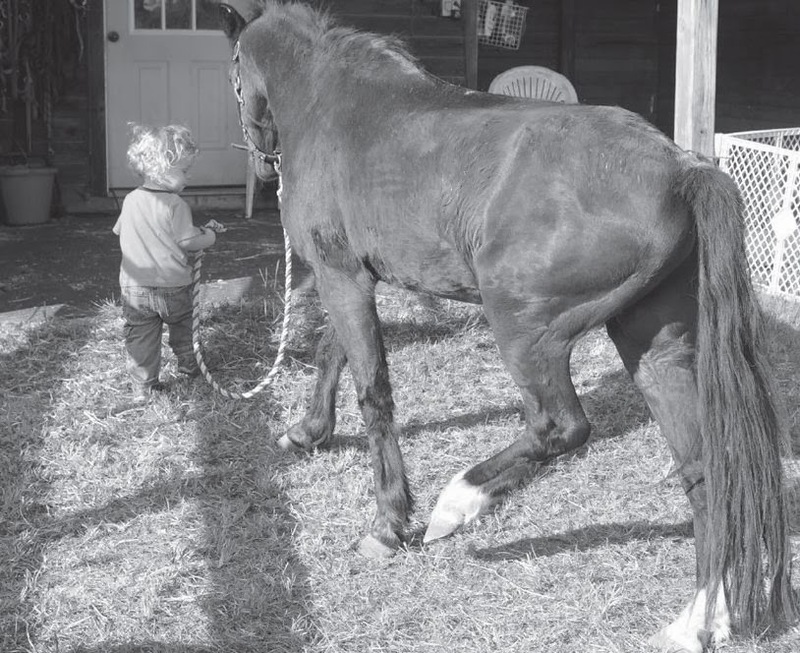 For example, the horse goes from left lead to right lead without breaking to a trot or a walk. A clean change. This means that the front and back legs change leads simultaneously. Good ground cover. This means that the horse continues to move forward through the change. Straightness. The whole body stays straight throughout the movement. Accurate placement. The change occurs where it is called for on the test. Maintenance of rhythm and tempo before, during and after the change. Uphill tendency. This means that the horse carries himself and does not fall on his forehand. Ease and fluency. The movements should appear effortless. Balance. The horse should stay balanced in a collected canter. The horse changes "late" behind, meaning that he changes leads in front a stride or more before he changes behind. The horse becomes very crooked in his body or wings from side to side. The rider loses connection with the bit: the horse becomes way above or way behind the bit. The placement of the movement is very inaccurate: it is much too early or too late, meaning that it does not occur between the two markers. The quality of the canter before or after the change suffers greatly. The horse breaks to a trot or a walk. The horse is disobedient: he stops, bucks or rears. The change is not preformed. The ground cover is very short. The hind legs are too close together. There is some loss of quality of the canter. There is some loss of collection. The change is performed inaccurately; it is either too early or too late. The change happens, but needs more control. The changes is mostly straight, the horse is mostly obedient, although he might need more engagement, uphill tendency, or expressiveness. The change is clean and very expressive with lots of time in the air. The horse is very straight, very accurate and quite willing. I think any of the Third Level tests would be a good introduction to the flying change in competition. I would suggest examining the tests and choosing the one that best suits your horse and will show off his changes to the best advantage. Third Level Test I is the simplest because it only asks for two changes, and the canter circle that comes before the change will naturally help collect your horse for the movement. If you are feeling really confident about your changes, you might prefer Third Level Test II, which will give you four opportunities to show them off. Third Level Test III is the most challenging. Although the flying changes in this test do not have double the points, they are more difficult to perform correctly: you must keep your horse absolutely straight as you are right in front of the judge on the center line. A balanced turn off the center line comes up very quickly after the change. In addition, the expectation of a quality change can be higher, because this test is designed to show the judge that you are ready to move up to the next level. In Fourth level, the changes are more demanding: you much perform them in exact places, and as you progress through the tests, you will begin to do tempi changes. Tempi changes are several changes performed in succession. Flying changes are fun to do and you are lucky that you and your horse can do them easily. Good luck on your tests.